Want to Ditch Cable? Here's How to Do It! Home >> Lifestyle >> Want to Ditch Cable? Here’s How to Do It! Want to Ditch Cable and Stream TV? Here’s How to Do It! This post is brought to you by Best Buy. All opinions are my own. My husband and I ditched cable a few years ago and we haven’t looked back. It was the best financial decision we’ve made to cut unnecessary monthly expenses! I can’t even remember how much our cable bill was now, but I know it was in excess of $100 per month for primarily channels we never watched. With so much quality streaming content available now, cable is becoming archaic….and if you haven’t made the switch to only streaming, I’m going to tell you how to do it easily and affordably! 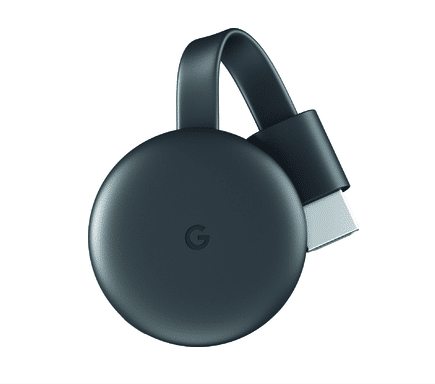 Head to Best Buy and pick up a Google Chromecast Streaming Media Player for $35. This little device plugs into any television with an HDMI port and allows you to watch movies, shows, live TV, YouTube, and more from your favorite streaming apps. You can even stream from your phone to your TV with just a tap. Watch shows, listen to playlists, and more. And while streaming, you can still use your phone as you normally do. BONUS: If you have Google Home, you can pair it with Google Chromecast to stream shows with just your voice! You can literally say, “Ok Google, play Stranger Things from Netflix on my living room TV.” — How cool is that!? 2. Cancel cable and look for a deal on just internet. Since we don’t have a landline, it was easy to cancel cable from our provider and switch to an internet only plan from another company who was cheaper. Don’t let any provider lure you into any type of bundle– you just need internet! Internet alone costs us about $60 per month for 300Mbps. We’d pay for internet with or without cable, so we saved money as soon as we canceled our existing cable service. Don’t be afraid to shop around and make sure you’re getting a good amount of Mbps to handle streaming as well as any other wireless smart home devices you may have. What I love about streaming only is that I can choose what services I want without having to pay for things I don’t want to watch. For my family, Netflix, Hulu and Amazon Prime are our favorites. During football season, my husband signs up for SlingTV, where he can stream his favorite sports channels. When the season is over, he’ll cancel with the click of a button. The same goes when there’s a show on HBO we want to watch. There’s never any commitment to streaming our favorite programming! There are over 2000 streaming apps, many of which are free, so you can customize your family’s ideal viewing experience. Ditching cable for 100% streaming TV will save you money and provide your family with endless entertainment…I promise you won’t regret making the switch!